Design and build your own deck, using our premium-grade 1.5mm thickness hard maple veneer from Canada. This veneer is premium grade, rotary-cut, kiln-dried stock. This maple is grown in Canada, where the long cold winters allow the trees to mature slowly. The resulting tight growth rings produce a strong tree and of course, strong veneer. This is the best skateboard deck making veneer available and you will not be disappointed! The trim size for Street Deck veneer is 9.5 x 34″ (24cm x 86.5cm). The Long Board sheets are 12 x 48″ (30.5cm x 122cm). A typical deck is made up of 7 layers of veneer, 5 long and 2 cross grain. We offer three set ups for long boards, 7-Layer Sets (5 long and 2 xband), 8-Layer Sets (6 long and 2 xband). and 9-Layer Sets (7 long and 2 xband). The top sheet is what we call the “Face” and is intended for the outside layers of your deck. It is cut in the long grain direction. This sheet is virtually knot free and shows hardly any imperfections. This is so that if you intend on leaving the veneer showing, you get the best possible result. Core – Also long grain direction, this veneer is intended for the inside of the deck as there may be some solid knots and staining. Sometimes we find interesting looking core sheets, so pretty that they look great on the outside of a custom board! Cross grain – This material is the same as the core but is cut in a cross grain configuration. Normally there are two cross grain layers in a board and is intended to give the board strength across its surface. Sometimes smaller pieces are stitched together in the veneer mill to make up the larger rectangles. This does not hinder board strength. Note: The inside layers are therefore slightly different. 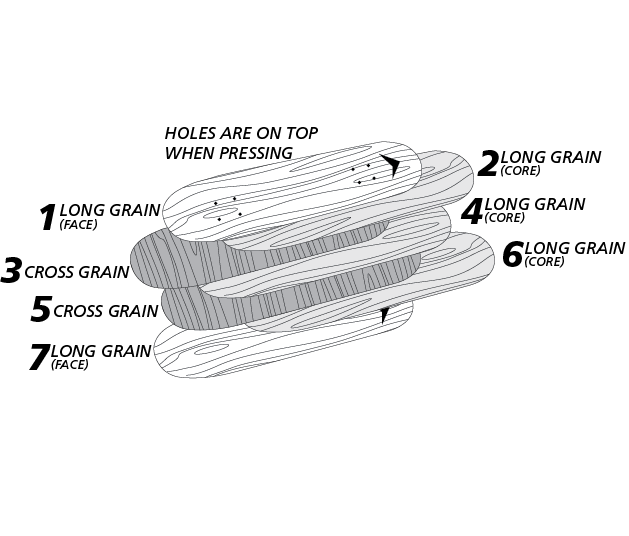 On the long grain and cross grain sheets, you might spot knots, blemishes, slits or markings. This is because no wood is absolutely perfect. 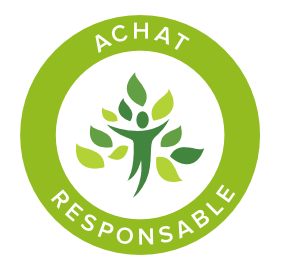 For each sheet to be perfect much of the amazing maple would be wasted, this therefore not being at all ecological. However these markings and knots by no means change the quality, strength or suppleness of the veneer, nor the finalised board or project.